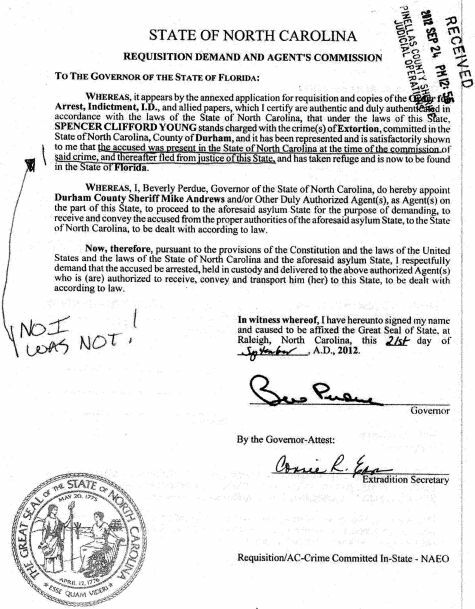 "Governor Bev Perdue has committed perjury which states Spencer C. Young was bodily present in North Carolina on June 24, 2012, committed extortion and then fled the state. She’s been provided evidence to prove these are ALL BOLDFACE LIES. 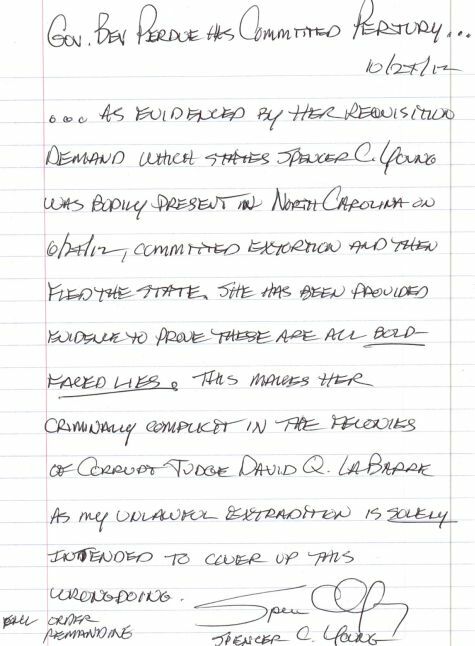 This makes her criminally complicit in the felonies of corrupt [Durham County] judge David Q LaBarre, as my unlawful extradition is solely intended to cover-up this wrongdoing. 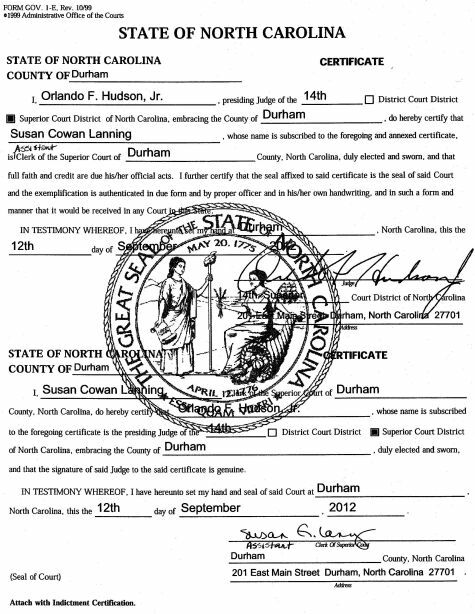 This document is followed by the actual Requisition Demand containing Governor Perdue's perjured statement, as well as Durham County Superior Court Judge Orlando F. Hudson's Certification of the FRAUDULENT Extradition documents. This corruption-laden effort was coordinated by Durham District Attorney Leon Stanback, a long-time friend and Superior Court colleague of BOTH LaBarre and Hudson.